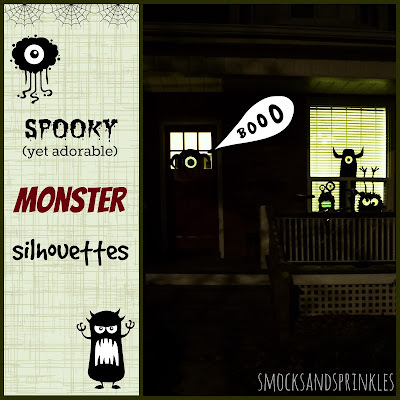 Smocks and Sprinkles: Spooktacular Monster Silhouettes! 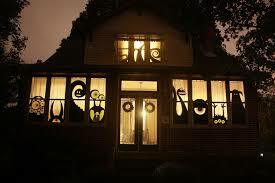 Halloween is just around the corner and it's time to get those spooky decorations up! 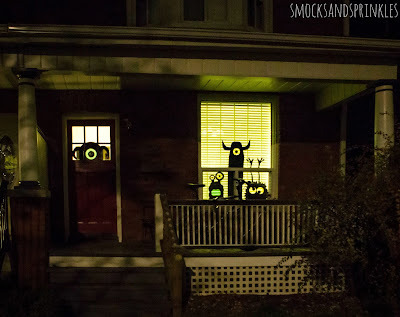 If you are looking for a unique, inexpensive and super-cute way to decorate your place, look no further! Monster silhouettes are easy to make and my toddler nearly lost her mind with excitement when I first put them up. In fact, she loved these adorable monsters so much we ended up keeping one up in the house all year round. I originally found my inspiration while surfing the net one day. 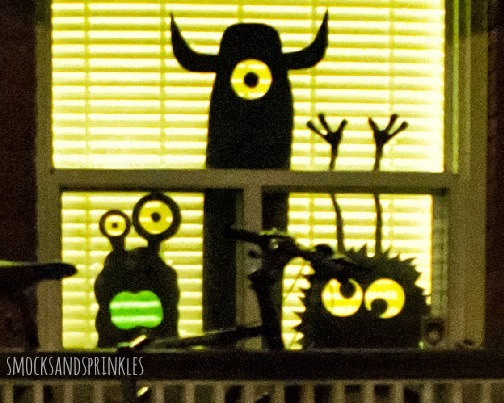 Here is the pic I came across and I knew instantly that I had to have these googly monsters in my house...ASAP. 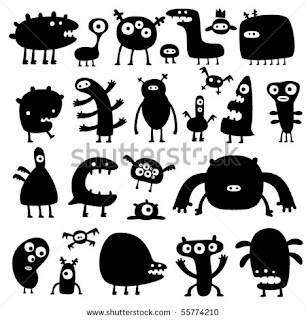 Cut out monster shapes from black Bristol board (if you want to make giant sized monsters, just tape pieces of Bristol board together). See shutterstock pic below for some inspiration (or just google images for "monster silhouettes"). Use coloured tissue paper to cover eyes, mouths etc. When it gets dark out, turn on the lights in your house to bring these monsters to life! Check out the cutie-pie monster with the googly eyes and waving arms! 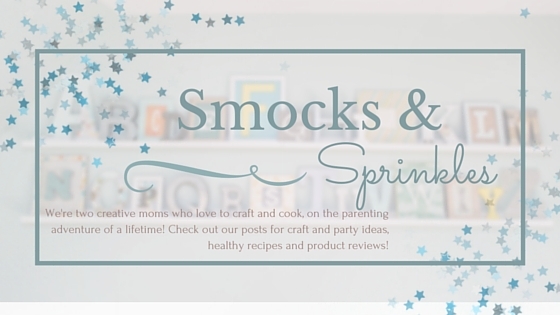 So simple and fun! 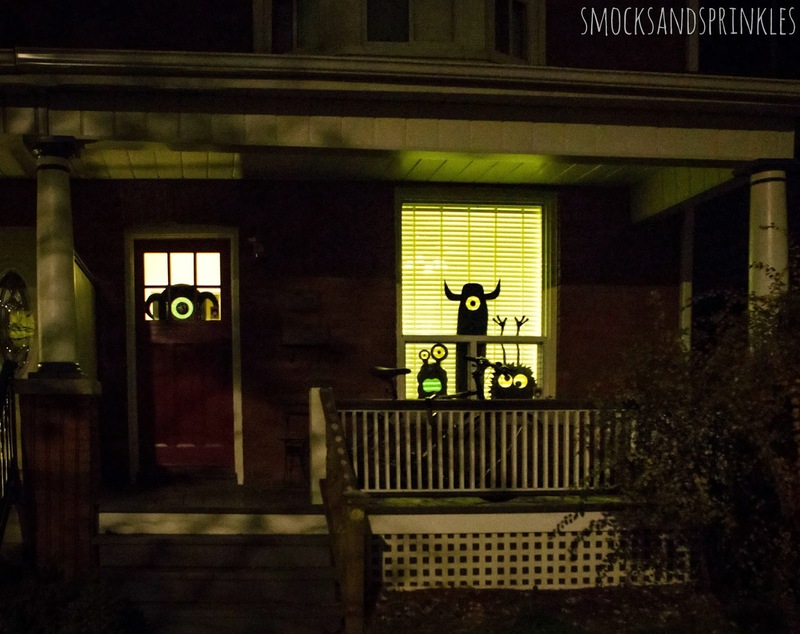 Your house will be the hit on the block so be sure to get lots of candy to hand out:) What spooky decorations are you planning on putting up this year? Note the annoying bike left on the porch which ruined this picture...ugh. Operation Christmas Child! November 16-22!